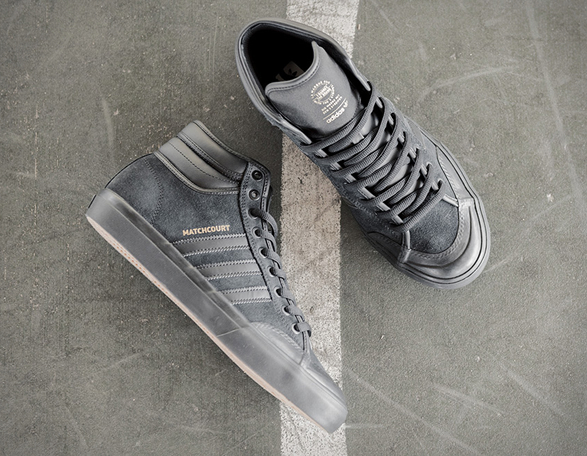 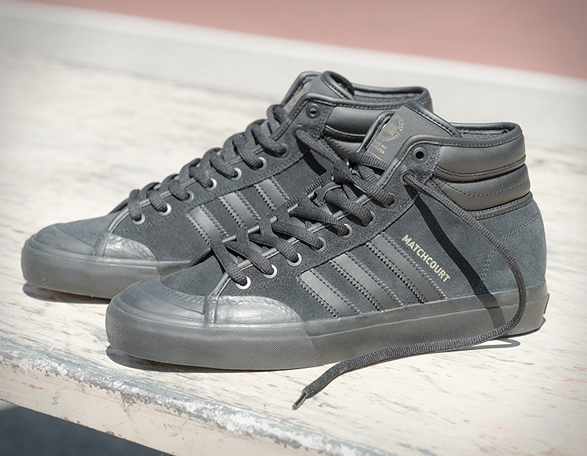 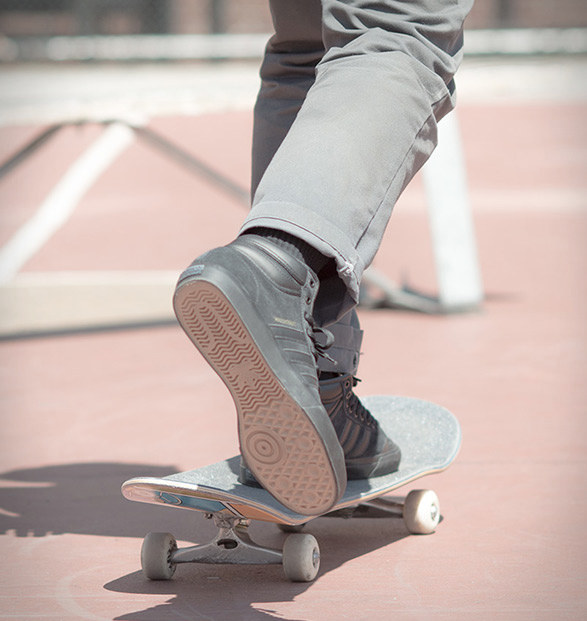 Adidas have introduced the Matchcourt High RX2 reengineered for skateboarding. 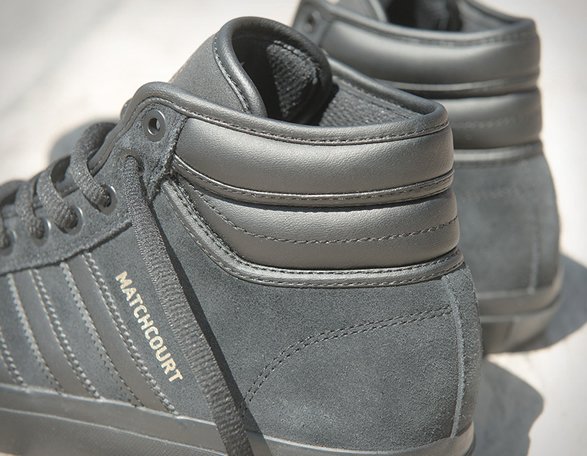 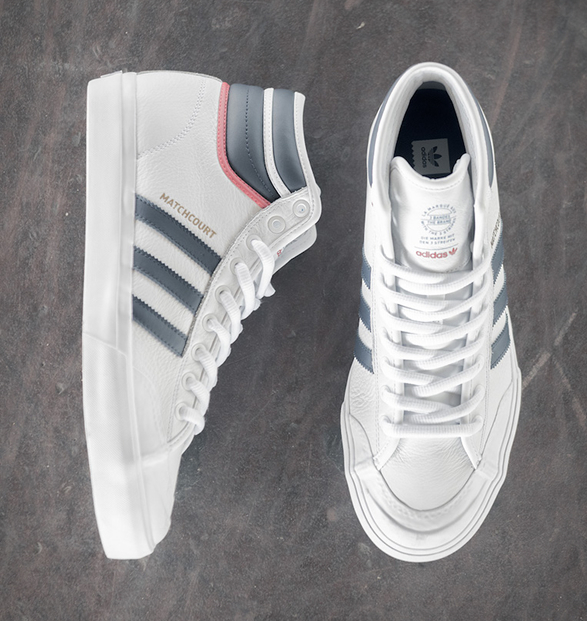 The new member of the Matchcourt family offers a sophisticated take on skateboarding style, it was inspired by the brand´s iconic Top Ten basketball shoe from 1979, but has been reengineered to meet the needs of skate performance while maintaining its classic court style DNA. 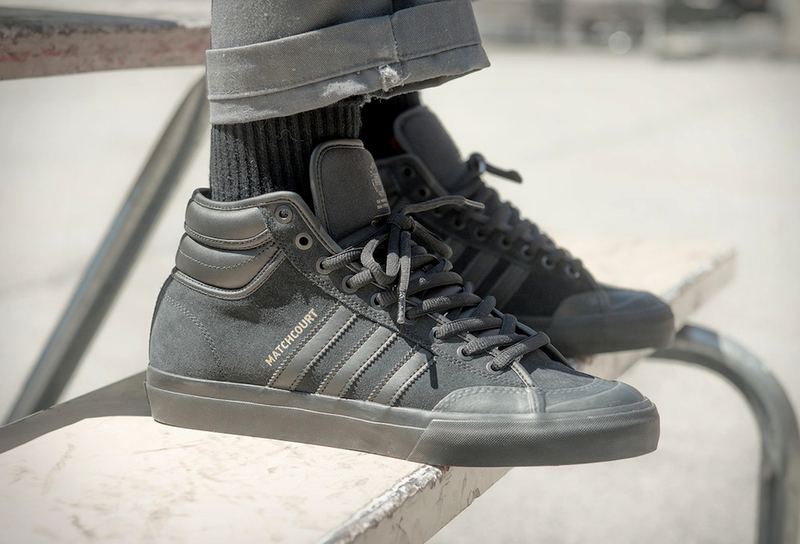 Made of suede and leather and reinforced with a rubber toe cap and double wrapped along the vulcanized outsole for added durability, board feel and control, the high-top sneaker is available now in three styles.